Tile resists moisture and won’t expand or crack in wet environments , making it prefect for kitchens and bathrooms. You can install radiant floor heating under these floors. 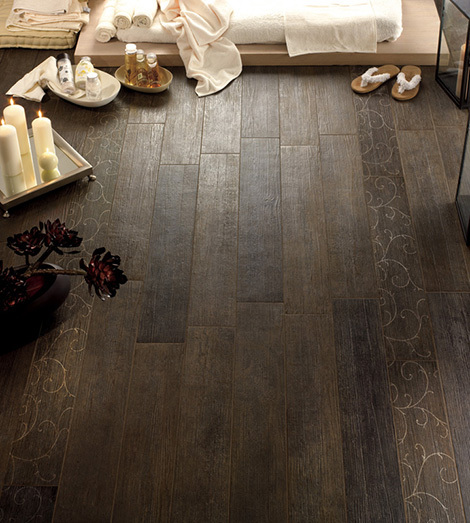 No chips, nicks or scratches like you get on real wood…the tile durable and long lasting. No need to re-sand every few years. I really like what it does for bathrooms, especially, because it adds a warm element by mimicking wood. Also works well in a kitchen with white cabinets, for the same reason.